The Indian Yoga Festival is a three days celebration in Goa, which takes place for the second time in the upcoming year 2015. We wish Deep Deka and his team all the best for this event, which will most likely become a regular (=yearly) function in future. The Indian Yoga Festival combines traditional knowledge with modern, western influenced yoga styles. You will find 20 yoga styles, 25 teachers and more than 60 sessions to chose from. The festival offers a lot of music, satsangs, kirtans and meditations and participants will be international. There are many reasons to visit the Yoga Festival, not to forget the tasty food. 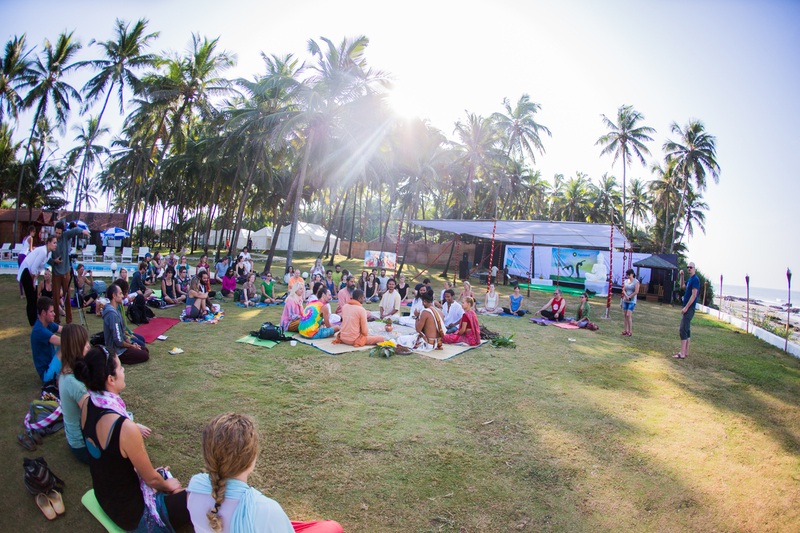 The event location is at Ashwem Beach (55 km from Goa Airport and 7km from Arambol). The 3 day pass is 135 EUR (for foreigners) and 4500 INR (for Indians), the one day pass 50 EUR resp. 1900 INR. This is my humble request,DO NOT MAKE WESTERNIZED AND COMMERCIAL. DO NOT DESTROY OUR TRADITIONAL EDUCATION.